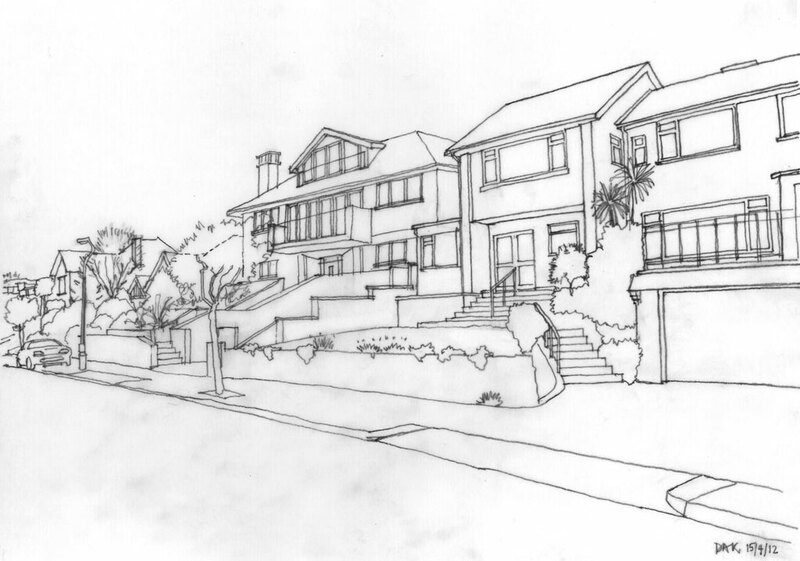 Work carried out: New house design. 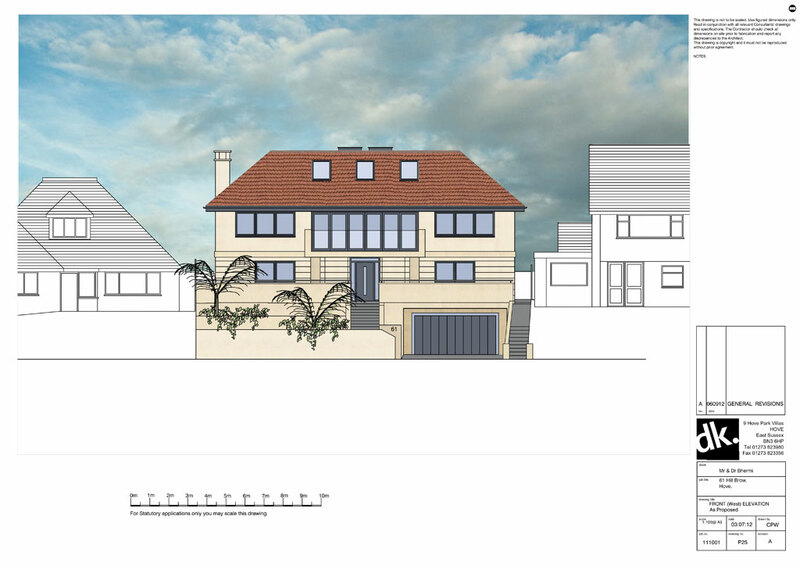 Project description: This new house is replacing a very unprepossessing bungalow built on a steeply sloping site in a suburban setting on the edge of Hove. 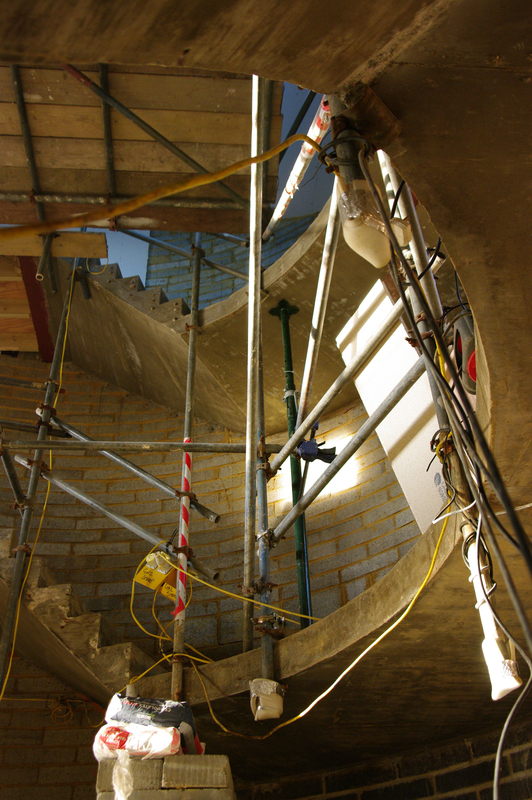 It has various Eco features as would constitute prudent investment, but the main Architectural feature will be the drama of the central drum stairwell which is literally the core of the house and whose shape also defines the adjacent rooms. The layout and presentation draws on the classic villas built by Palladio in North-Eastern Italy. It is an upside down house with four of the Bedrooms on the Ground Floor Level (and a Cinema Room on the half level down at the rear). 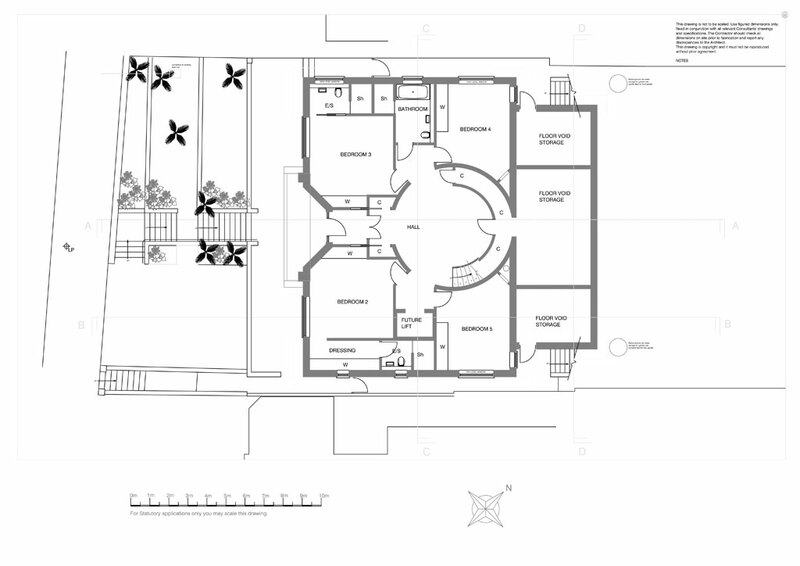 The First Floor Level accommodates the living spaces with a Dining Area connecting to the garden Terrace as it is at a higher level. The Living Room has a balcony which has superb views of the adjacent Copse and down to the coast. The Second Floor Level is also able to enjoy these views from the vantage point of the Master Bedroom suite. 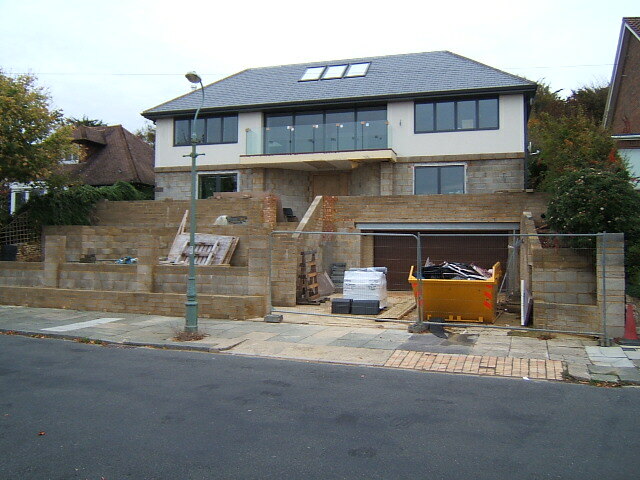 The house is elevated and sits above the only original element of the building to be retained – the double garage. A lift shaft will be formed from there that will connect up to the Ground and First Floor Levels. 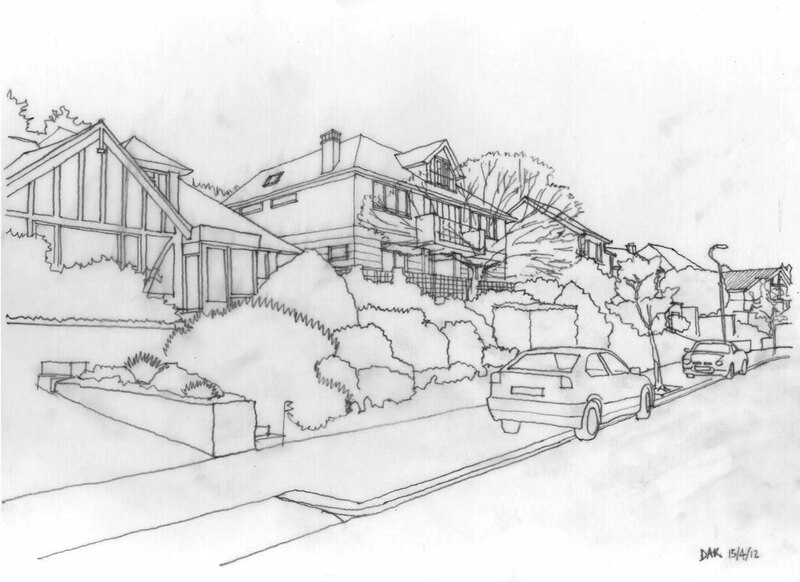 The normal pedestrian approach to the house will be via the front steps integrated into the levels of the tiered garden.